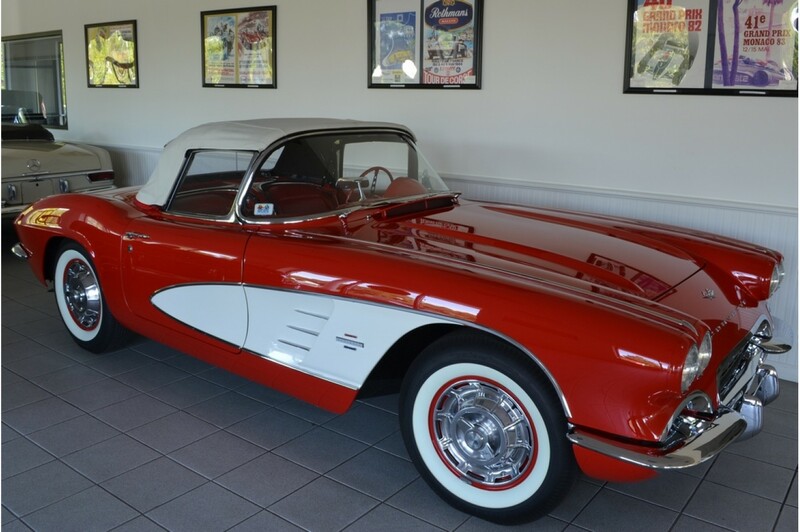 This is a 1961 Corvette, Roman Red with red interior, white coves, matching #s 283-270 HP engine. 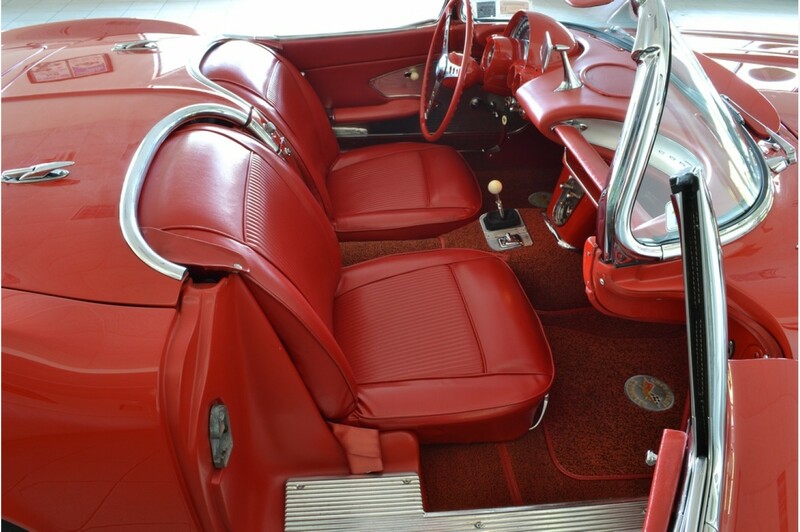 Very professionally and correctly restored car, work done 2006-2008, shows beautifully. NCRS Top Fight Winner, judging sheets available. 4 speed manual transmission, posi rear, HD Big brake option ( 1 of 233). Correct Wonderbar radio, heater, sunshades, courtesy lights, whitewalls. A very respectfully restored excellent example of a 61 Vette. For more details call 631-283-8819.